Drawing 12V power from a 24V battery bank is not as straightforward as it may seem. Simply ‘tapping’ 12V from one of the batteries in the 24V bank will cause imbalance and irreparable damage to the battery in a very short period of time. 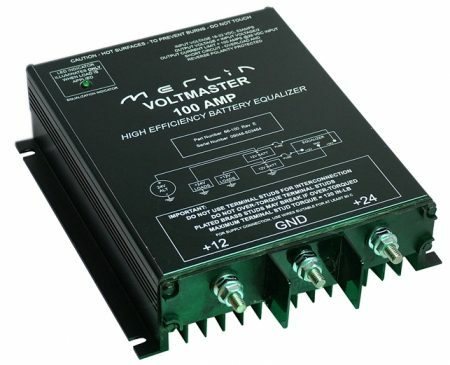 DC/DC converters provide limited amounts of power – large converters cost money and introduce inefficiencies.